GDPR Associates are engaged as advisors with many senior executives in many large, medium and small businesses, headquartered or doing business in the European Union. These business executives are constantly seeking technology solutions, legal advice, consulting services, talent acquisition. and training services. We offer access to both our own in-house experts and trusted partners. Our business support partners offer a broad range of services that may include those outside the confines of the GDPR compliance for a broader view on business operations, progression and growth. Please contact us if you would like to be featured on this page by submitting your details to our team for a no obligation discussion on how we can support your offering. 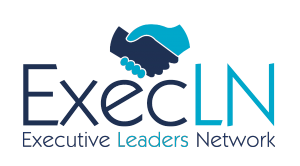 Delivering engaging, dynamic and thought driven events for C-Level decision makers & executive leaders. Find out more.